"La pierre du rire" ou" Stone of Laughter"
Un roman qui retrasse la vie d'un Gay dans un Liban en guerre. Dans une ville en proie à la guerre civile, un jeune homme, Khalil, veut faire le pari de l'innocence et récuse la nécessité, pour survivre, de prendre parti. Réfugié dans sa petite chambre, il donne libre cours à une étrange frénésie ménagère et médite sur la décomposition du monde alentour. Inexorable, le "dehors" débusque cependant Khalil de sa retraite... En évoquant, à travers l'initiation de son héros, l'étrange logique que ces guerres aux invisibles champs d'honneur installent au c½ur de toute existence, Hoda Barakat met en scène les mécanismes de la folie très particulière qui s'organise quand tuer et vivre deviennent synonymes... Bien loin de toute une littérature nostalgique du Beyrouth d'antan, la Pierre du rire mène une enquête exigeante et nécessaire sur l'alchimie qui, au c½ur du plus grand trouble et en l'absence de repères, permet quelquefois au réel de reprendre corps. Stone of Laughter (Hajar Al Dahik), is a precious Arabic novel by Lebanese Huda Barakat published in 1990. It takes place during the Lebanese civil war where the absurd becomes daily life norm. The story takes us into the tormented life of Khalil, a gay person looking for mind-saving serenity in a war-torn city. Other novels to read by Barakat are (Bas Al Awadem) and The Tiller of Waters (Harithu Al Miyah). This is the story of a person. It is also a story of a population, and of a war. It reads as grotesque fantasy, where traditional assumptions can be fatal, consequences no longer make sense and the most commonplace social act may conceal lethal betrayal. In 14 years of civil war, which left Beirut's glories ravished and its cosmopolitan society devastated, the grotesque becomes mundane. Disoriented amid the chaos, Khalil questions his every thought and impulse as he grasps for an identity, sexuality and teleology-his internal dialogue is the warp of this narrative. Retreating into desperate isolation when the two men he covertly loves are killed, Khalil is paralyzed by guilt and fear. His despair brings illness and a minor epiphany in the hospital, where he awakens, in the book's most impressionistic and fluidly crafted sequence, to the value and beauty of life. Barakat allows Khalil this illumination, a lambent moment of hope, so that she may quickly shatter it. Khalil's dizzying descent to an inhumanity as perverse and cruel as it is mad, seems incomprehensible. Khalil's tormented mind, his betrayal of newly discovered selfhood reflects the unendurable stress provoked by such war. The frightening results, and the fragility of civilization, is the kernel of this cautionary tale, told too late for young men like Khalil. Written in the 1940s, this novel by the Egyptian Nobel laureate Mahfouz deals with the plight of impoverished classes in an old quarter of Cairo. The lives and situations depicted create an atmosphere of sadness and tragic realism. Indeed, few of the characters are happy or successful. Protagonist Hamida, an orphan raised by a foster mother, is drawn into prostitution. Kirsha, the owner of a cafe in the alley, is a drug addict and a lustful homosexual. Zaita makes a living by disfiguring people so that they can become successful beggars. Transcending time and place, the social issues treated here are relevant to many Arab countries today. With this satisfying tale, Mahfouz, often called the Charles Dickens of Arabic literature, achieves a high level of excellence as a novelist and storyteller. Highly recommended. "This book was an excellent and not-too-difficult read. I say not too difficult because I read the entire thing on my morning and evening commute over two weeks. The narration really brings the reader into Midaq Alley, to a point where one feels like they too are peering at every character through window shades and evesdropping on conversations in the cafe. 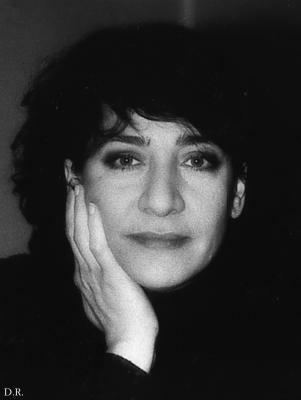 The plight of the main female character is reminiscent of Sister Carrie. Like Carrie, she is a character that one can neither like nor detest. I enjoyed this book and I look forward to reading more of Mahfouz's work". "Focusing on the lives of the inhabitants of a humble--but not wholly destitute--neighborhood, Nobel laureate Naguib Mahfouz's 1947 novel could be (unfairly) dismissed as "Melrose Place" in Cairo. Yet this is no Grace Metalious soap opera; Western readers will instead find that "Midaq Alley" calls to mind the style of Christopher Isherwood, the plotting of Armistead Maupin, and the characters of Rohinton Mistry. And Trevor La Gassick's superb translation make this a surprisingly fluent, elegant, and humorous yarn. Although filmed in 1995 as "El Callejón de los milagros," a critically acclaimed Mexican film starring Selma Hayek, this novel has never quite reached the audience it deserves. Like "Tales of the City," "Midaq Alley" follows the interlinking stories of several characters who share little more than aspirations to affluence, romantic entanglements--and an address. The reader is introduced to more than a dozen characters, but the novel spotlights three: the cafe owner Kirsha, a married man who flirts with young men in front of discomfited patrons, neighbors, and friends (not to mention his incensed wife); the fickle, young, beautiful Hamida, who flits from man to man in search of wealth and comfort; and Abbas, who joins the British armed forces to earn enough money to win over Hamida. Yet other eccentrics from the alley are just as memorable: the horrid Zaita, who serves as tyrant over the local beggars he has "fashioned" by unusual means (and whose demeanor and methods are astonishingly similar to Mr. Beggarmaster from Mistry's "A Fine Balance," written 50 years later); Mrs. Saniya Afifi, a widow who undergoes cut-rate cosmetic dentistry to win over a new husband--and then is horrified by the hush-hush source of her new dentures; and the suave, slick, duplicitous Ibrahim Faraj, a stranger to the alley who spirits Hamida away from her home into a world of extravagance and debauchery she never imagined possible. In the background is World War II, which ironically presents inhabitants of the alleys with the prospect of advancement in the "outside" world--an opportunity that proves both short-lived and elusive. Scratch below the surface, and you'll find a morality tale about the ultimate displeasure that materialism brings to those who worship it. Yet Mahfouz avoids didacticism when presenting his themes, opting instead for a light-hearted objectivity that brings the residents of Midaq Alley to life". 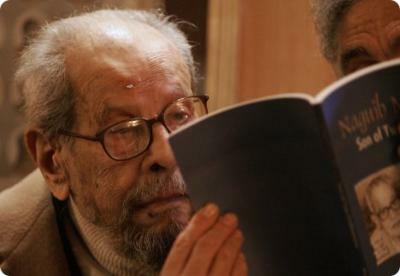 "In this novel, Mr Mahfouz chose to show simple characters living in an area similar to that of his own birth. The richly colourful life of these people is carefully drawn and the story crowds with minor charcters depicted with keen perception and great humour. There is Uncle Kamil the sweet seller, Abbas the barber, Kirsha the café owner, "Dr" Boosh the dentist, Radwan Hussainy the landlord, Sheikh Darwish the former English teacher, Umm Hamida the mariage broker, Salim Alwan the company owner, Husniya and Jaada the bakers, Zaita the cripple maker and Ibrahim Faraj the pimp. We see how they are enticed away from their natural roles by the hopes of material gains chiefly through work with the British Army. The novel examines the problems of behaviour and morality: drug addiction, homosexuality, ambitions and dissatisfactions. Perhaps it is time itself which is the novel's principal character personified by the ageless Alley. The aspirations and tragedies of the inhabitants are witnessed with indifference by Midaq Alley. But in the Alley, as in life itself, there is also a lot of gaiety, colour and excitement to enliven the passing scene". "Regardless of the poor translation (the one I read by Trevor Le Gassick) this was still immensely enjoyable, the characters shone through and the scene descriptions are so rich I felt like I was there, it was just written (or translated) in such a stilted way that it felt like English was definitely not the narrator's first language. I had previously read the Cairo trilogy, the story of several generations of a family, Midaq Alley is quite different, a soap opera about the people of the alley set over a short period of time, fast paced and very funny at times despite the bleak lives of the characters. The setting is WWII, a generally prosperous time for the people in this story, some content with life in the alley, and others more ambitious dreaming of nothing but escape. Strong characters with interconnected stories draw the reader into their lives - Kirsha the cafe owner with young male lovers, Hamida who is lured into prostitution, fat Uncle Kamil and his sweet shop, Abbas the barber who joins the army just for money to win a bride, Zaita the beggar and grave robber who performs surgery for a fee to create other beggars, Mrs. Saniya Afifi who will pay anything to a marriage broker to get herself a young husband, and several others with stories of their own to tell. I enjoy books that expose me to totally different cultures and ways human beings adapt to what life throws at them. Midaq Alley was a journey to another time and the other side of the world". "In a dank back alley of Cairo in the middle of World War II, Uncle Kamil, the bloated and always semi-catatonic sweet-seller pretends to swat flies from his face before he drifts off again. And the sun sets. The cafe just down the street opens, and Midaq alley comes to life, in all of its semi-impoverished glory. Naguib Mahfouz, the only Arab winner of the coveted Nobel Prize in Literature, has brought us here to meet a cast of outre characters and to gasp at their unorthodoxy, to be saddened at their lack of luck, and to envision, finally, the tapestry of their interactions. But he also wants us to think about what it must have been to be poor and Egyptian in a moment of political frustration. His writing lacks subtlety but his themes do not; what results is an involving drama of a back way in Cairo that you probably would not have noticed". 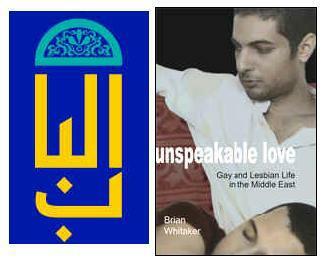 Albab est le site de l'auteur du livre Unspeakable Love Brian Whitaker ou' il a etudie' la vie des LGBT dans le monde arabe. 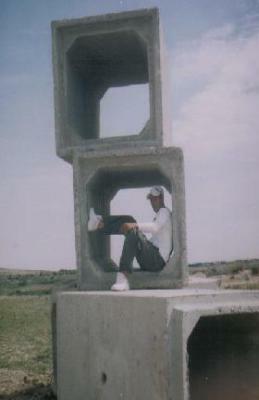 Al-Bab aims to introduce non-Arabs to the Arabs and their culture. Western explorers of the 18th and 19th centuries portrayed the Arab world as a strange, exotic and sometimes terrifying place. Al-Bab seeks to portray the Arab world neither as an object of fear nor as a cultural curiosity - fascinating though it may be. It tries to look beyond the strange or exotic, to show the Arab world as it is and to explain, as simply as possible, how it has become what it is. It tries to seek out the points of interaction with other cultures rather than the differences; the ways in which the Arab world has influenced other cultures or been influenced by them. It tries, too, to celebrate the achievements of Arab culture and to discuss its failings openly. Al-Bab consists mainly of links to other sites and pages on the internet but also contains some original material. The links are presented in an organised, structured way which is intended to make information easy to find. Homosexuality is still taboo in the Arab countries. While clerics denounce it as a heinous sin, newspapers, reluctant to address it directly, talk cryptically of 'shameful acts' and 'deviant behaviour'. Despite growing acceptance of sexual diversity in many parts of the world, attitudes in the Middle East have been hardening against it. In this absorbing account, Guardian journalist Brian Whitaker paints a disturbing picture of people who live secretive, often fearful lives; of daughters and sons beaten and ostracised by their families or sent to be 'cured' by psychiatrists; of men imprisoned and flogged for 'behaving like women'; of others who have been jailed simply for trying to find love on the Internet. Amid all the talk of reform in the Middle East, homosexuality is one issue that almost everyone in the region would prefer to ignore, and yet there are pockets of change and tolerance. Deeply informed and engagingly written, Unspeakable Love draws long overdue attention to this crucial subject.